Sold exclusively through UK cycle retailer Evans, Kalf has today announced the launch of its new 2018 winter collection. 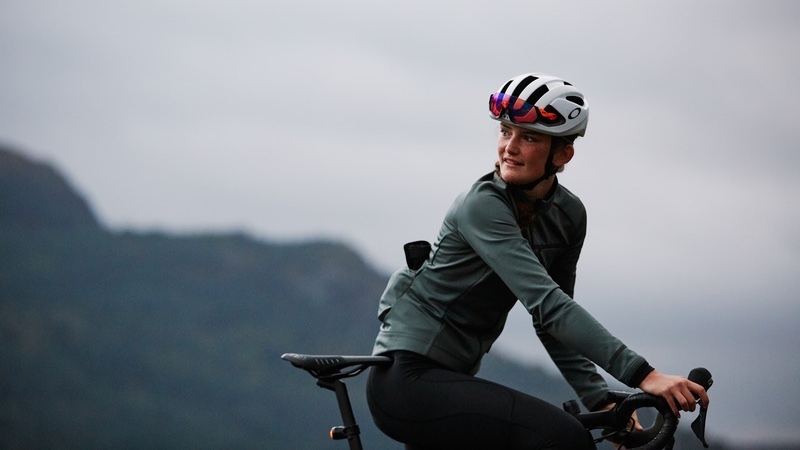 Catering for both male and female cyclists, the range comprises: a Club Softshell Jacket, Flux Printed Long Sleeve Jersey, Club Merino Jersey, Club Women’s Bib Tights as well as unisex ZERO and FIVE Gloves. Leading this year’s collection is the Kalf Club Softshell jacket. Available in both men’s and women’s specific cuts, these provide a defence against winter using a supple and breathable fabric. Every panel of the Kalf Club Softshell uses high stretch windproof fabric from eVent, specifically designed for aerobically demanding activities and chosen expressly for its high breathability rating. The new Kalf Flux Printed Long Sleeve Jersey is an aerodynamic jersey with light insulation and a high level of breathability. The winding seams of the arm have complimentary iridescent reflective logos to integrate style and safety. The high cut front of the Kalf Club Women’s Bib Tights has been designed with a cosy brush-backed fabric to keep riders snug, providing warmth for the core. The cosy front is complimented by a breathable mesh back to help vent body vapours and regulating body temperature. The Kalf ZERO gloves and Kalf FIVE gloves return to Kalf’s latest Autumn Winter collection but with one change. Now available in unisex the ZERO and FIVE gloves are designed to keep hands warm and dry with waterproof material and Thinsulate wadding, as well as deep cuffs and a reflective strip over the knuckles for extra visibility. All Kalf products are exclusively available in the UK through Evans Cycles.